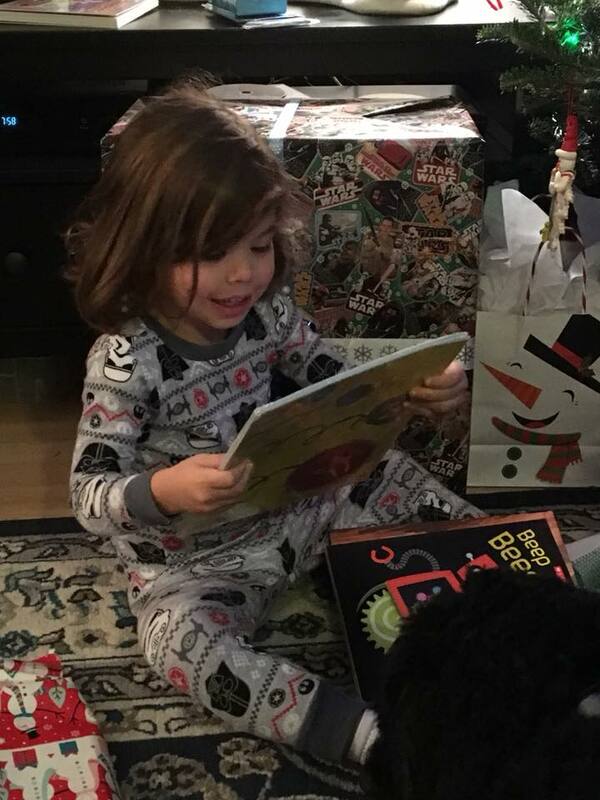 My children have been a great excuse to indulge in my love for picture books. Whether it's the library or a bookstore (Woot woot! for the new B&N that opened near my house), browsing through the picture books is always great fun. You smile when you see a familiar title, or lovingly caress the covers of your favorites. *sigh* New favorite picture book character is Pete the Cat. I'm rather obsessed with him. Pete’s been around for a while, and I was first introduced to him when my son was a baby. I had heard good things; however, the book we had been given (a retelling of twinkle twinkle little star) failed to impress. Fast forward about two and a half years - now my baby boy is in pre-school (they grow so fast! 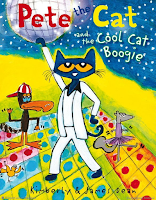 ), and he comes home with a new Pete the Cat book from his teachers. This one was titled Pete the Cat: I Love My White Shoes. I began reading the story apprehensively that night at bedtime, but by the end of the book, my opinion of Pete did a 180 turn. Instead of a bland retelling of a nursery rhyme, “I Love My White Shoes” was witty and fun, and surprisingly, all about resilience! As an ISD, “resilience” is one of those trending words we hear about a lot. It’s right up there with “emotional intelligence” and “data analysis”. So, imagine my surprise to find it taught so perfectly and succinctly in a picture book! 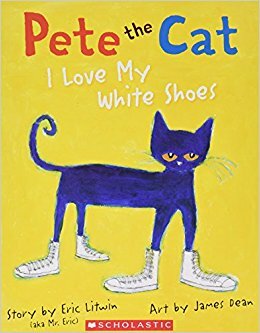 “I Love My White Shoes” tells the story of Pete wearing his favorite pair of shoes and singing a song about them. The resilience comes in when Pete accidentally steps in a variety of things that change the color of his shoes, and instead of getting upset, he adjusts the words in his song. The art work, catchy phrases, cute little jingle, and entertaining repetition make this book very memorable. Like my son, I can't help calling out “goodness no” at key moments. 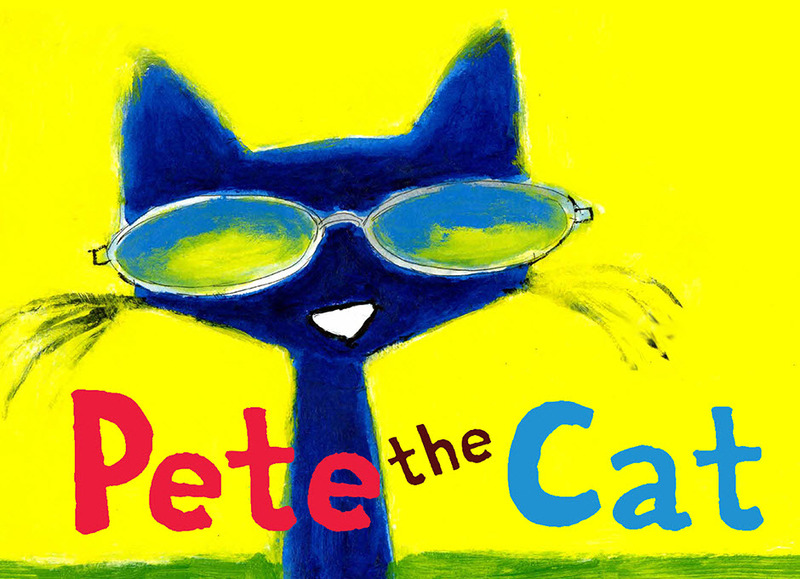 If you haven’t read Pete the Cat, I highly recommend doing so. I’m already trying to find opportunities to work it into training at my job. 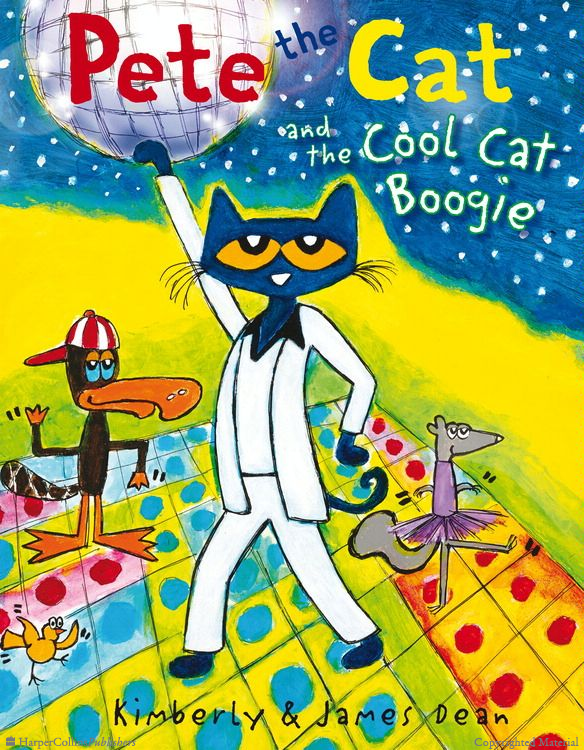 Among my favorites in the Pete collection are: I Love My White Shoes, Four Groovy Buttons, and The Cool Cat Boogie. You don’t have to be a child to read, enjoy, and learn from these books. When you encounter a tough situation, just remember Resilient Pete and his catchy saying, “Does Pete cry? Goodness no!”. 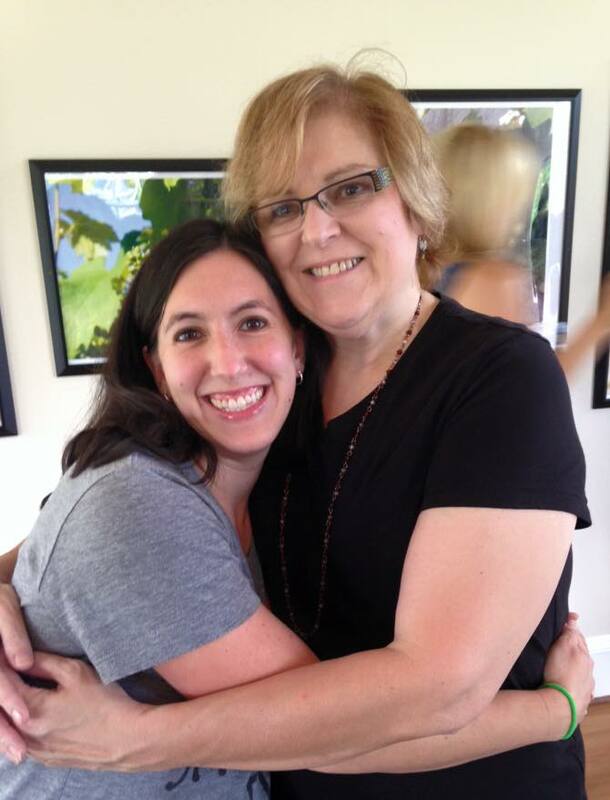 While I have been on radio silence in the bloggisphere, I have still been hitting the VA wine trails here and there. Recently, we took a trip down to Gadino Cellars to enjoy one of the last summer days of the year and check on our geocache. Dan decided to slip inside for a tasting, while I went right for a glass of Luminoso with our friends from Wine About Virginia. We all sat out on the patio with the sun streaming down through the vines that grow over Gadino’s pergola and listened to Triptych, one of our favorite local bands. About halfway through our bottles of Luminoso and Sunset, Bill, the winery maker and owner walked over with Quinn, a sweet lab that my son instantly began petting and talking to. Talking with Bill was easy and delightful, as he and I share a similar Italian heritage. We talked favorite foods and restaurants, family, and of course, wine! Bill shared how this years’ crops were growing and which would be getting harvested soon. Dan eagerly asked about how Gadino Cellars was planning to use petit verdot grapes from Berryhill Vineyards, a local vineyard that we were sad to see sold recently. Happily, Bill plans to add it in with his own wonderful petit verdot, and we can’t wait to try the results. Wine About Virginia asked after his petit manseng and dessert wines, and he shared how he uses local whiskey in his port wines. Throughout our visit, as we listened to live music and spoke with Bill, my little one was also enjoying the winery. We’ve worked hard to teach him winery etiquette, even at his tender age of 2, and while we still get some typical toddler breakdowns, he had a fantastic time running in the yard, jumping off rocks into Dan’s arms, and reading his favorite dinosaur book under the grape vines. As the afternoon came to a close, we packed up and headed for the parking lot. We enjoyed our afternoon at Gadino Cellars, and we’d like to send a special thank you to the winery owner and staff, Triptych, and our friends at Wine About Virginia who made it so. Recently, Casanel Vineyards hosted an event that made for a perfect little get away for my husband and I – an afternoon of wine and painting. While painting classes have always been around, they seem to be growing in popularity lately, and I have seen numerous online deals for art studios that are hosting such events. 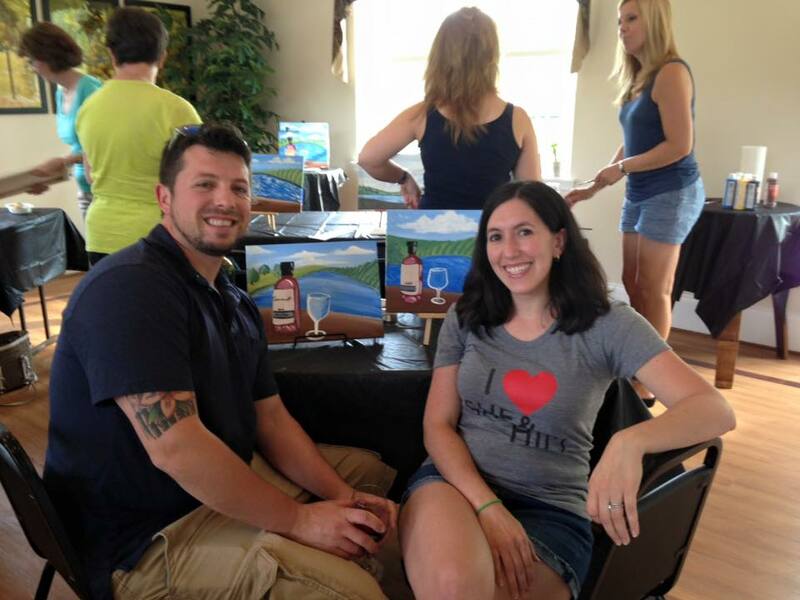 Virginia wineries are also seeing the trend and, as they have the perfect setting, are joining in on the fun. Dan and I were very excited when we arrived for the event. Our tickets included a canvas, acrylic paints, paint brushes, and a glass of wine from Casanel’s classic wine menu. After saving two seats in the event area, we walked over to the tasting bar to pick up two glasses of Chardonnay. The event began with the instructor, a local art teacher, showing us a completed painting and explaining how she would walk us through each step of the painting. We then loaded up our paint plates with the first few colors and put brushes to canvas. The instructor guided us through the project by starting with general outlines, filling in each large area of canvas, adding shading and details to the background, and finally, adding a bottle of wine and a glass to the picture. Alternating between instruction and individual tips, the instructor was very friendly and helpful. As the event drew to a close, the whole group spent a few extra minutes adding final flourishes and admiring each other’s finished paintings. Everyone agreed that it was interesting how we each added some little twist to our painting, making them unique even though the same subject matter. As we cleaned up, Dan and I had a chance to visit with Kathy and Erik, two of the tasting room educators who are friends of ours. Kathy told us about her recent Rose education event, and Erik mentioned that they might do another painting event in the fall, as this first one was so well received. Overall, it was a wonderful afternoon. The painting was fun and challenging; the wine delicious; and the company entertaining. If you are interested in attending a future wine and painting event at Casanel, check out their website and contact information and be sure to mention that you read about it on AtTheLamppost!